Fun with lasers! 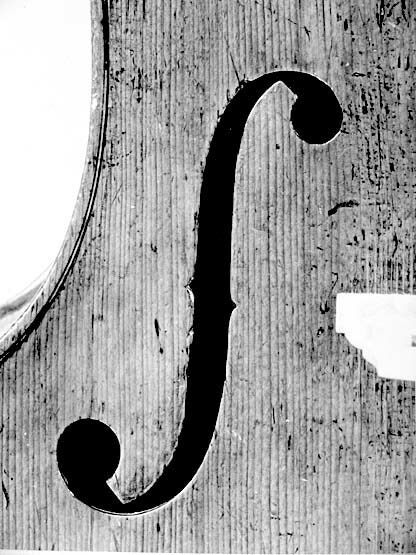 PDFs linked to here show information extracted from a movie of the top and back of a Brothers Amati violin. The black lines on the still photos in the PDF are curtate cycloid curves generated with free CCycloid software, based on a very simple concept of best fit with the scans. Below is the original movie from which the PDFs were derived. … than that it’s so pretty. 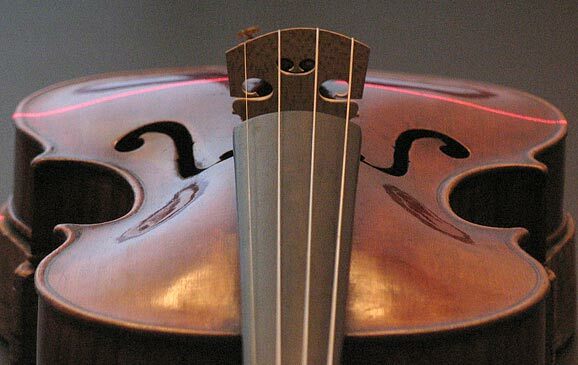 This is a Brothers Amati violin from around 1615 seen from the top end. 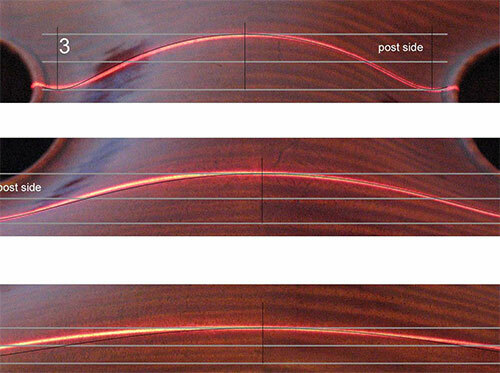 The red line is a laser line from a carpenter’s level, to show how the arching is shaped in that area. If you’re one of those people who just can’t get enough of this stuff, try this movie of the same violin, and here’s the latest silly iteration of that technology (this photo is not the same violin as above). For Mac people here is a Mac version of the movie.